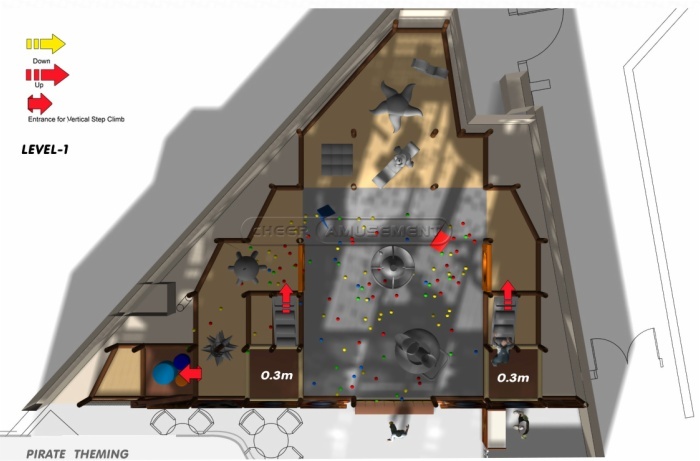 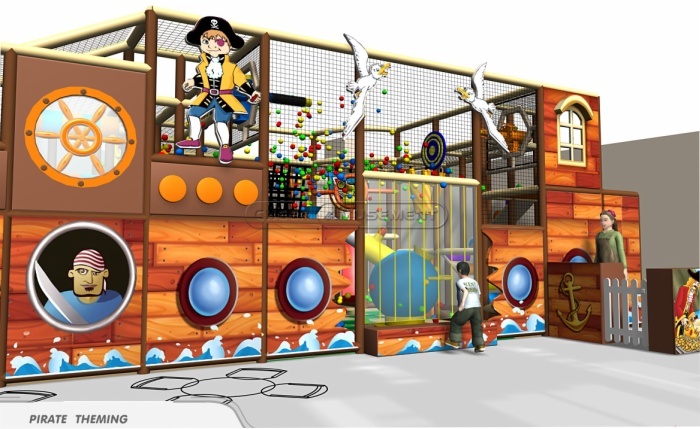 Components: Wooden Fence, Fountain, Cannon, Suspension Bridge, Half Round Ladder, Sea Star, Octopus, Block, Roller Run, Safety Net, Theming Decoration Panel, Punching Bag, Fun Ball Battle, Moon Walk. Components Wooden Fence, Fountain, Cannon, Suspension Bridge, Half Round Ladder, Sea Star, Octopus, Block, Roller Run, Safety Net, Theming Decoration Panel, Punching Bag, Fun Ball Battle, Moon Walk. This is a suitable for outdoor amusement area, area is median size, about 70 square meters, the longest part of 11.27 meters, the width of 8.54 meters, the highest 3.6 meters . 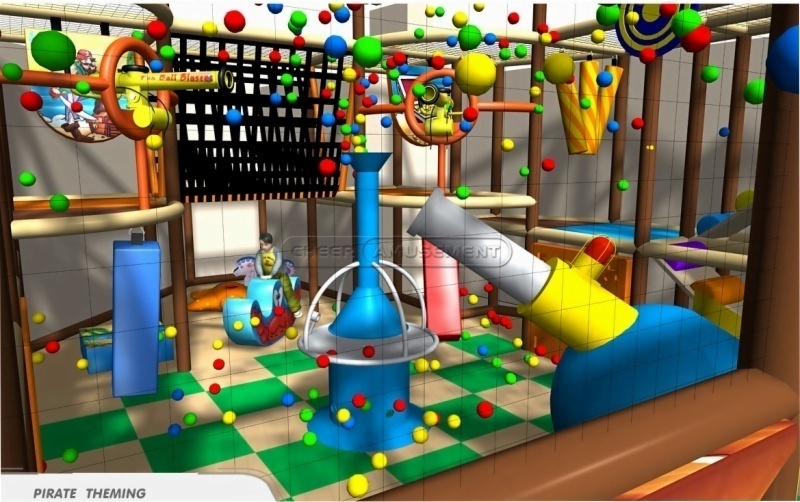 The general can be placed in the center of the playground. 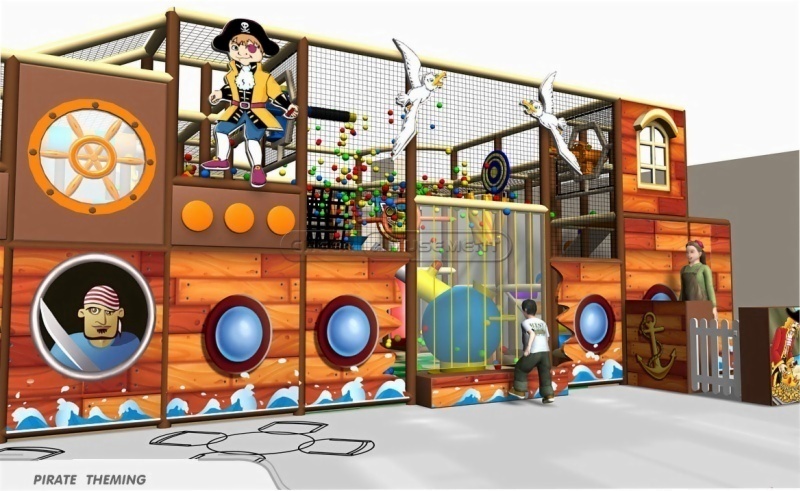 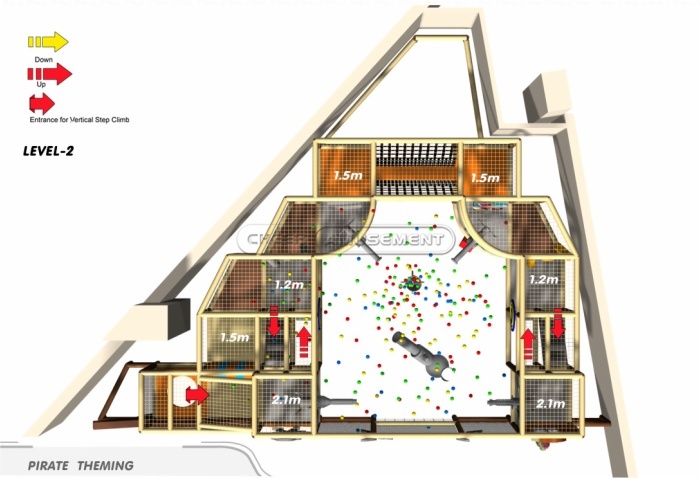 the amusement area contains rich entertainment equipment - Wooden Fence, Fountain, Cannon, Suspension Bridge, Half Round Ladder, Sea Star, Octopus, Block, Roller Run, Safety Net, Theming Decoration Panel, Punching Bag, Fun Ball Battle, Moon Walk, can satisfy 3-12 years old children climbed, jump, run, throw activities requirements. 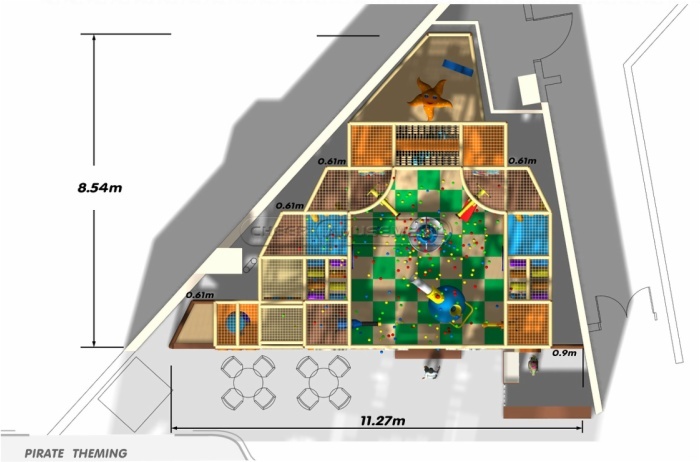 And this area can satisfy 80 children with activities also does not appear crowded, children can invite partners play together, increase the kid's interaction and communication skills for children to provide more fun. 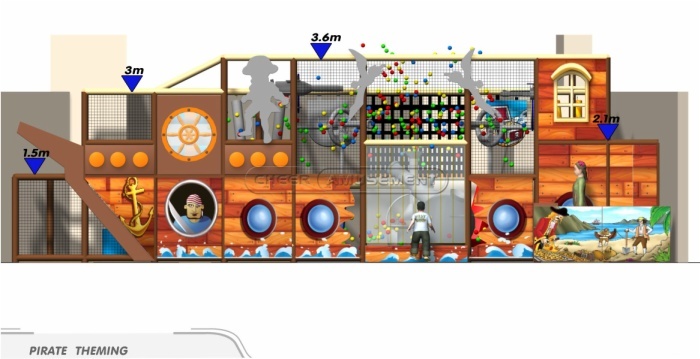 The amusement area most major characteristic is space diversity and structural simplification, 70 square meters area with double-level space design can attract a lot of children , rich and colorful equipment especially Fun ball battle are more likely to bring many eyes. 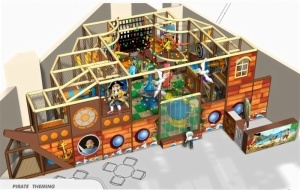 .As for the dealer, the product is more potential customers, the market space is large.